By using www.everythingiceland.com you agree to be legally bound by these terms, which shall take effect immediately. If you do not agree to be legally bound by all the following Terms & Conditions, please do not use Everything Iceland (Traveller slf) website. Everything Iceland (Traveller slf) may change these Terms & Conditions at any time by posting changes online. Please review these Terms & Conditions regularly to ensure you are aware of any changes made by Everything Iceland (Traveller slf). Your continued use of Everything Iceland (Traveller slf) website after changes are posted means you agree to be legally bound by these terms as updated and/or amended. You agree to use Everything Iceland (Traveller slf) only for lawful purposes, and in a way that does not infringe the rights of, restrict or inhibit anyone else’s use and enjoyment of Everything Iceland (Traveller slf). Your use of Everything Iceland (Traveller slf) is intended for personal use and/or to make legitimate requests to book the products or services offered. You agree not to use this site to make any speculative, false or fraudulent requests. You agree not to use robots or other automated means to access this site, unless specifically permitted by Everything Iceland (Traveller slf). b) that you have full power and authority to enter into these Terms of Service and in doing so will not violate any other agreement to which you are a party. Everything Iceland (Traveller slf) does not operate any tours but directs you to tours operated by operators and service providers in Iceland. Neither does Everything Iceland (Traveller slf) charge users any fees, and as such, cannot be liable for any accidents, losses, injuries, death, damages, delays, expenses due to any action or inaction on the part of the operator, guide or his/her services. Any complaints about a tour are to be directed to through www.EverythingIceland.com Please let us know so we can help you address your grievances. The email info@EverythingIceland.com We will take yor complaint to the tour operator. As the terms and conditions of each tour operator may vary, please read the terms and conditions of each operator you have purchased a tour from. Check the voucher you receive on your email for details. All products, tours and services offered on the Everything Iceland (Traveller slf) webpage are valid as per the dates displayed at Everything Iceland (Traveller slf). Should suppliers and/or service providers make changes to tour dates, prices, inclusions, coverage, age requirements, etc. Everything Iceland (Traveller slf) is not responsible or liable for any information of tours that it does not directly provide. Prices are set by tour operator. Everything Iceland (Traveller slf) does not add any fees on top of tiur operators pricew. Prices do not include tips/gratuities to tour directors, drivers or local guides; passport and visa fees; baggage and personal insurance; any items of a personal nature; parking fees and any beverages or food not specifically listed under “Inclusions” on the product pages of Everything. When you book a tour on the website www.everythingiceland.com (Traveller slf), we assume that you have read the terms and conditions and you have accepted them. When Www.everythingiceland.com (Traveller slf) has received full payment and a confirmation invoice, a contract between you and Www.everythingiceland.com (Traveller slf) has come into existence, not before. If a person makes a booking for more than one person, he/she is responsible for payment from all in the group as well as accepting the terms and conditions on behalf of all in the group. When a tour is booked you will receive a voucher with your order number and details from corresponding travel service provider. It is important to check the details on the invoice when you get it. If any details on the voucher or your invoice seems to be incomplete or incorrect, please contact us as soon as possible. Also keep in mind that it is important to bring your voucher with you and give it to the tour operator, the voucher is your ticket. If there is any problem with your booking, we will be in touch as soon as possible. If you need to change or cancel a booking, we will try to assist you in any way possible. The sooner you’d be in touch, the better. Contact us through the contact form on www.everythingiceland.com (Traveller slf) or send us an e-mail to info@everythingiceland.com. We can’t guarantee that we can change a tour, but we will always do our best. If you need to cancel your booked arrangements, you must give us written notice by email signed by the same person who made the original booking. Www.everythingiceland.com (Traveller slf) will do its best regarding your cancellation request. Late cancellation can though bring compensation claims from tour operators and other service partners. The method of refund payments are the same as original payment. For example, if payment was made by credit card, the refund will be to the same credit card. Based on the time a written cancellation was received, a refund percentage is determined. Fluctuations in exchange rates are not in our control so the amount in your currency might differ. Since Www.everythingiceland.com (Traveller slf) is cooperating with tour operators around the country, cancellation refund may vary. Cancelation refund can never be more than 80%. If cancelation is less than 48 hours prior to tour departure: Non refundable. If suppliers (third party) terms & conditions regarding your refund request are different than ours; the suppliers policy are valid. Www.everythingiceland.com (Traveller slf) advises all clients to buy comprehensive travel insurance to minimal financial loss due to cancellation. Currency exchange is based on the daily exchange rate of the Central Bank of Iceland and therefore exchange differences may fluctuate until final payment is made. All charges on Www.everythingiceland.com (Traveller slf) website are made in Icelandic Króna (ISK). You can view an estimated price in a number of currencies to help you understand the approximate price in your preferred currency. Final payments are always conducted in Icelandic Króna (ISK). All refunds are also conducted in Icelandic Króna (ISK). Www.everythingiceland.com (Traveller slf) does not charge any booking or transaction fee and therefore cannot be held liable to any loss on currency exchange during transactions that may occur at the time of payment and/or refund. For all tours that are operated by a third party, Www.everythingiceland.com (Traveller slf) cannot be responsible for accidents or injury which can be traced to tour operators or customers own action. 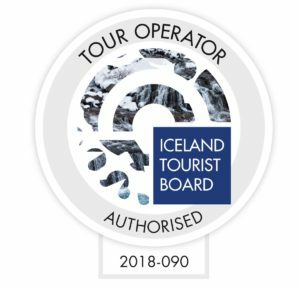 Www.everythingiceland.com (Traveller slf) sells tours from third party tour operators, therefore Www.everythingiceland.com (Traveller slf) cannot be held accountable for changes that a tour operator might make. Www.everythingiceland.com (Traveller slf) is also not liable for expenses because of accidents or sickness, strikes that will affect your tour, changes in flights schedules or other happenings that Www.everythingiceland.com (Traveller slf) has no control over like weather or volcano activities. Any booking made or order placed by you, whether through the company’s website or otherwise, shall be deemed as an offer by you to purchase the relevant package or other travel arrangements subject to these booking conditions. No contract between you and Www.everythingiceland.com (Traveller slf) shall come into existence until Www.everythingiceland.com (Traveller slf) accepts full payment and issues a confirmation invoice. The person who makes the booking accepts these conditions on behalf of all members of the party and is responsible for all payment due from the party. Booking services with Www.everythingiceland.com (Traveller slf) are currently only available to the person who has reached 18 years of age. Individuals under the age of 18 must be accompanied by at least one adult. By submitting a booking, you confirm to us that you comply with this agreement. All bookings should be made through Www.everythingiceland.com (Traveller slf) website. Booking is not confirmed unless it is confirmed via e-mail by Www.everythingiceland.com (Traveller slf) Travel agent and or tour provider. Www.everythingiceland.com (Traveller slf) charges a non-refundable 20% deposit of total package price at the time of booking. We accept payment from all major credit cards such as: VISA, MasterCard, Maestro, Diners Club International, American Express (will incur a 3% handling fee due to the high fees charged by these providers), Discover, JCB, UnionPay. The invoice will be sent to you in PDF format after the final payment. Www.everythingiceland.com (Traveller slf) disclaims responsibility for any loss, damage, accidents, injuries, death or sickness during the stay in Iceland. The same applies to any changes in tour schedule due to weather, acts of nature, strikes or any other force majeure where Www.everythingiceland.com (Traveller slf) has no influence. We strongly advise all our clients to secure a comprehensive travel insurance as in case of any changes in flights (domestic and international), the travellers shall pay any additional cost caused by this, at the time the service is provided (extra hotel nights, meals, transfers etc.). The organizer and Www.everythingiceland.com (Traveller slf) hereby accept the district of Reykjanes, Iceland, where the services are being supplied, as the proper legal venue. Icelandic law shall apply to any legal issues that arise between the two parties. Www.everythingiceland.com (Traveller slf) is always monitoring the quality of the product provided by our suppliers. Therefore, if for any reason you are not satisfied with your holiday package please contact us (in writing).